I received an e-mail not long ago about a conference that will be held in New York this coming October 22, 2009 concerning patient experience. I was asked if I could help spread the word about it and I instantly agreed because I totally support the idea of improving the health care system and this would definitely benefit a lot of people. 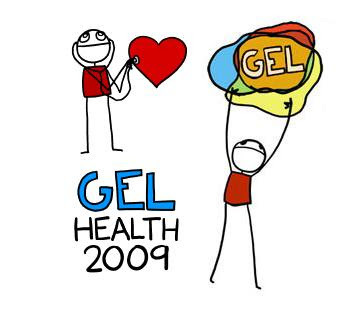 The Gel (Good Experience Live) conference is a 7-year old event that focuses on the patient's well being, their experience in the hospital, ways to improve patient experience and who are the people and/or companies actively involved in this matter. I think almost all of us have had our own share of experience with the health care system and personally I'm not quite impressed or happy with it. Most patients complain of being stripped of their dignity the moment they enter the hospital doors. They have to wait a long time to see a doctor and if they do see a doctor they are seen as an object with a defective part. In this video, Dr. Bridget Duffy, Chief Experience Officer of the Cleveland Clinic, shares some of her personal experiences and views. She emphasizes that what the health care system needs now is empathy. She sites an example where a patient's family decided to get medical treatment not from the best health facility in the world that simply gets the job done but from a health facility that actually cared for the well-being of the patient. Even I would go for a doctor who actually checks on how I am doing before and after the operation. I don't want to be cut open by a doctor who I haven't even seen once. This has really been an eye opener for me and I will try to be more empathetic whenever I deal with patients in the future. VENUE: Scandinavia House, Park Avenue and 38th Street in Manhattan.